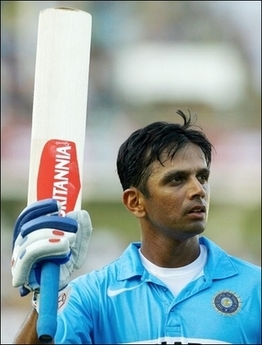 Just a few hours after he was picked in the ODI and T20 squad, Rahul Dravid has announced his retirement from both of the short formats of the game. He has stated that he wants to concentrate only on the Test cricket and hence will be retiring from ODIs and T20s. "Since I had not been picked for one-day cricket for the last two years, I was obviously a little surprised," he said after India's tour match against Northamptonshire. "To be honest, because I had not been picked, I had not informed the selectors or the board of my desire to solely focus on Test cricket. "At the end of this one-day series, I would like to announce my retirement from one-day and Twenty20 cricket and concentrate only on Test cricket. I am committed, as always to give my best to India in this one-day series and obviously the Test series that follows. "In the short term I am committed because now I have been picked for the series, but in the long term I think it is best for me and Indian cricket that I focus on Test cricket." This may sadden many of us, but we all must understand that he has at least got a series to quit ODIs graciously. Good news is, he hasn't talked anything about retirement from Test cricket! i will see the positive side bro..
they din take him 4 2 yrs bt nw hez a necessity finally :D! hez owned d respect like hez done 4evvr!! its nt a goodbye..!! its a new turn! FTW Dravid!! It ia a slap on the Faces of selectors, Dravid has Prooved that they still need him, but he doesnt need them anymore, its a challange to BCCI selection committe to find the BATSMAN like Dravid who can be called The WALL! It is indeed very sad to see Dravid go.